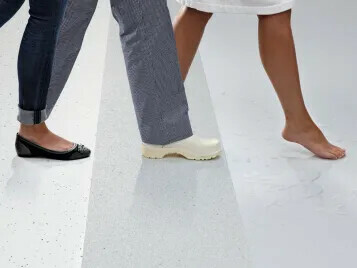 Walking bare foot in wellness areas requires a clean and safe floor. 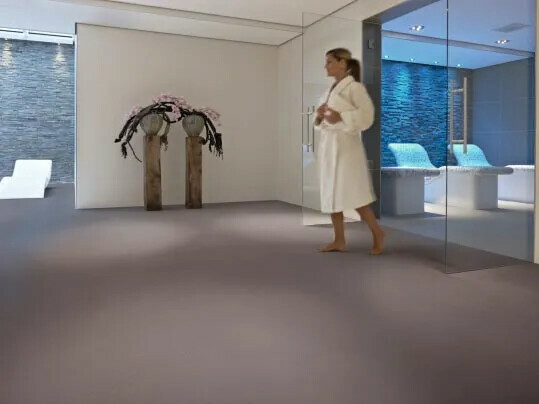 Our Step safety flooring offers you both and in the most attractive designs. There are several levels of safety flooring depending on the required safety norms. Within the several levels designs can be combined so that you follow all the regulations but the area still looks good.